Velocity Networks now offer additional value to their corporate clients through its hosted VoIP phone service. Velocity Networks has combined their IP network expertise with solutions provided by CommPartners and Transera to provide enterprise grade VoIP services and call center solutions for business customers. Voice Over IP is a much more cost effective means of transmitting voice vs. traditional phone services and is packaged as flat rate plans vs. the pay per minute plans of traditional telephone companies. Additionally, Hosted VoIP provides business phone system features like voicemail, IVR, voicemail to e-mail, hunt groups, etc without requiring expensive PBX equipment. These services are often referred to as Hosted PBX services and have made phone features traditionally reserved for large enterprises available to small and medium sized businesses. When asked which emerging technologies present the greatest monitoring challenges, most respondents (38 percent) identified virtualization, while 24 percent were concerned with Unified Communications, followed by MPLS (14 percent). More than 50 percent of respondents indicated that their organizations have deployed some virtualization technologies. This will increase to 79 percent within 12 months and 82 percent in two years. More than 41 percent of organizations do not currently run virtualization, and nine percent were not sure what percentage of their organization’s applications, if any, run on virtual machines. VoIP adoption remains strong with 67 percent of organizations having implemented the technology on their network. Most respondents have implemented Cisco VoIP solutions, followed by Avaya and Microsoft. Looking to future VoIP rollouts, seven percent of organizations expect to implement within 12 months, and an additional three percent will wait more than a year. 42 percent have implemented or plan to implement a WAN optimization technology within 12 months, while 44 percent had no plans to implement. When asked about topologies, 69 percent were interested in monitoring LAN, 60 percent in WAN, 56 percent in wireless, 48 percent in gigabit, and 23 percent in 10 Gigabit. Research and Markets has announced the addition of VoIP: Wireless, P2P and New Enterprise Voice over IP to their offering. VoIP is revolutionizing the way people communicate – both in the corporate world and in personal life. The enormous success of VoIP has led to its adoption in a wide range of networking technologies. Each network technology has its unique features and poses distinct challenges for the performance of VoIP. VoIP: Wireless, P2P and New Enterprise Voice over IP describes the issues arising in the deployment of VoIP in an emerging heterogeneous network environment. Along with a brief overview of the concepts, protocols, algorithms, and equipment involved in realizing VoIP, this book focuses on two areas: quality and performance issues in deploying VoIP over various network settings, and the new mechanisms and protocols in these emerging networks to assist the deployment of VoIP. Jajah has been selected by Yahoo! as its outsource partner for its premium voice service. Calls made by the nearly 97 million worldwide users of Yahoo! Messenger will now be routed over the Jajah network. In addition to telephony infrastructure, Jajah will provide payment processing and customer care services. This partnership leverages Jajah’s open VoIP communications platform to support the existing Yahoo! Messenger voice offering. Through this collaboration, Jajah provides Yahoo! Messenger users with an instant Internet telephony network, merging the best of traditional and IP telephony. As a result of its unique investment strategy, QINO Flagship AG is the only publicly-listed stock that allows participation in Jajah. VoSKY announces a major global expansion of its VoSKY Exchange VoIP application gateway business through an agreement with Digital China. VoSKY Exchange is the first Skype solution for business to be sold through the Digital China network, reflecting growing market interest in the gateway's ability to add enhanced VoIP-based business applications and Skype trunks to any traditional or IP-based office phone system. Effective immediately, Digital China's 6,000 VARs have access to the full VoSKY Exchange product line, including seven four-port and eight-port editions that seamlessly connect to any PBX with no modifications to existing PBX equipment, desk phones or user PCs. This will enable resellers to offer low-cost, easily deployable, value-added VoIP solutions to the 8.3 million small and medium businesses in China. Acme Packet announces that Cricket has deployed Acme Packet’s session border controllers to securely interconnect its VoIP core network to other service providers. Cricket is one of the first mobile operators in the United States to interconnect its VoIP core via IP to other service providers for PSTN origination and termination. Cricket is a simple, affordable wireless service offering consumers and local businesses a flat-rate, unlimited service utilizing the latest infrastructure technology. Cricket offers service in 23 states and has more than three million customers. Designed for customers whose basic and advanced wireless needs have not been met by traditional communications companies, Cricket is the pioneer of unlimited services with no long-term commitments or credit checks required. JAJAH reaffirmed its commitment to its 10 million customers who use JAJAH to make an affordable, high-quality call from any device. Following demand from business industry leaders, the company enters its third year by opening up its next-generation voice platform and offering strategic managed service solutions. Fonality announces the Fonality Authorized Certified Ecosystem, a program that certifies third party products for trixbox CE, trixbox Pro and PBXtra so customers and resellers can deploy them with complete confidence. FACE certification validates interoperability and identifies the best components for use with Fonality’s software platforms. 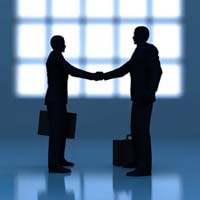 Ground floor FACE partners include IP phone manufacturers Aastra and Polycom, communications service provider Bandwidth.com and connectivity hardware provider Sangoma. Fonality FACE partners provide the highest quality technology and the deepest integration with Fonality’s IP-PBX VoIP phone systems, and Fonality provides support discounts and incentives to resellers and IT consultants who choose FACE-certified hardware products when building Fonality phone systems for their customers. AOL introduces Open Voice APIs to provide third-party developers and VoIP device manufacturers with open standards protocols that will enable them to easily integrate the AIM Call Out service into softphones, as well as SIP-enabled hardware and cell phones with wi-fi connectivity. AIM Call Out integration will enable users to make low cost voice calls from anywhere in the world using the Internet to relay these calls. The Open Voice APIs can be found at http://dev.aol.com/aimcall. AIM Call Out is a pay-as-you-go outbound voice calling service built right into AIM that lets users make calls to landline and cell phones in more than 200 countries. This service complements the existing AIM Talk service, a free PC-to-PC voice calling service available to AIM users. In March 2008, Aberdeen Group surveyed 159 organizations to identify best practices for managing Voice-over-IP performance. Three key performance criteria were used to distinguish best-in-class companies: 1) average improvement in VoIP service quality; 2) average improvement in VoIP service availability; 3) improvements in ability to troubleshoot issues with VoIP performance in a timely manner. Best-in-class organizations reported 93% improvement in VoIP service quality; 95 percent average improvement in VoIP service availability; all improved their ability to troubleshoot VoIP performance issues expeditiously. Tilgin has received a new order on Tilgin’s IP home gateway solution from a leading Pan-Nordic operator at an order value of approximately 1 MUSD. The leading Pan-Nordic operator has used Tilgin's Vood 322 IP home gateways since the co-operation started in 2005. In February 2008 Tilgin announced an order reaching another 20,000 households. This collaboration and trust is now renewed with this new order enabling the operator, with Tilgin’s IP technology, to expand its consumer offering in a fast growing market quickly switching from fixed line telephony to VoIP. Skype is taking another major step as it continues to merge its internet communications software with mobile phones. Today, the company released a beta version of Skype for your mobile, a mobile “thin“ client that works on about 50 of the most popular Java-enabled mobile phones from Motorola, Nokia, Samsung and Sony Ericsson. The beta version of Skype for your mobile is available worldwide with a feature set that includes chat, group chat, presence (seeing when your contacts are online), and receiving calls from Skype users, and through SkypeIn . * Additional features, which include the making of Skype-to-Skype and SkypeOut calls from the mobile handsets, are initially supported in seven markets: Brazil (Rio de Janeiro), Denmark, Estonia, Finland, Poland, Sweden, and the United Kingdom. With its beta version, Skype for your mobile enters a public testing phase that will help Skype gauge the response of technology-savvy users whose feedback will help tweak the offering. This phase is expected to last several months, after which a public version of the application will be made available to millions of mobile phone owners around the world. Packet8 announced the availability of the Packet8 Virtual Office business phone system at OfficeMax retail outlets nationwide. OfficeMax's more than 900 U.S. retail stores are now stocking and merchandising Packet8's Virtual Office hosted VoIP small business phone system with point-of-purchase materials consisting of retail brochures and in-line shelf displays which showcase the Packet8 Virtual Office business-class telephone. OfficeMax customers can purchase the Packet8 Virtual Office business phone package for just $129.99 and begin using the Virtual Office service within minutes after a simple installation and activation procedure. Subscribers who purchase Virtual Office at OfficeMax receive one free month of service followed by a discounted monthly service price of $39.99 for an Unlimited Extension. ClearOne announces the release of a new version of software for its CHAT family of audio conferencing products. The new software upgrade includes full support for all versions of the Microsoft Vista operating system, as well as enhancements to the user interface. This software upgrade applies to all models of the CHAT 50 Personal Speaker Phone and CHAT 150 Group Speaker Phone. The recipient of PC Magazine’s Editor’s Choice Award, the CHAT 50 is used by traveling and home-based office professionals who want crystal-clear audio in a hands-free speaker phone. The CHAT 50 connects to a PC or laptop via the included USB cable to provide high-quality audio for phone calls using Skype or other VoIP softphone clients. 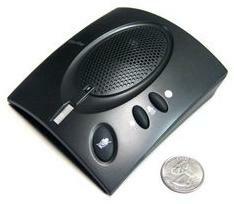 About the size of a deck of cards, the CHAT 50 can also connect to certain cell phones and business or home phones. Portable Computing Magazine also awarded the CHAT 50 its Best for Business Award for 2007.